This is one of our favourite teas, with an enchanting sweet licorice flavour. 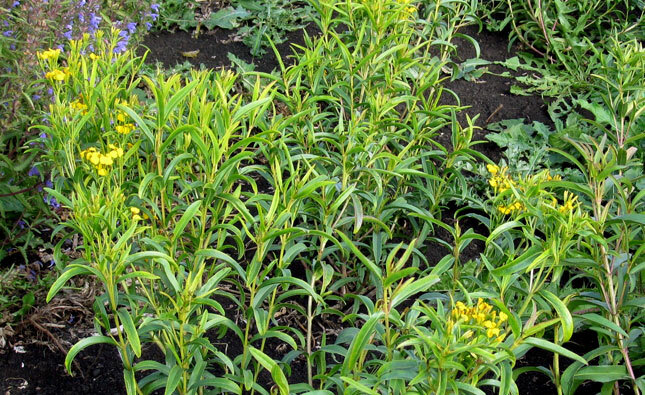 We can grow Tagetes lucida as an annual, but it needs an early start to be productive in our climate. In early April sow the marigold-like seed in plug trays, cover lightly with potting soil, tamp and water gently or mist. Keep moist - not dry and not soggy - and protect from frost. Harden off and transplant out in May. It is important to harvest the leaves and flowering tops before the first fall frost for best flavour.